Patients, visitors and guests may park in the Tower Garage 24 hours a day, 7 days a week. 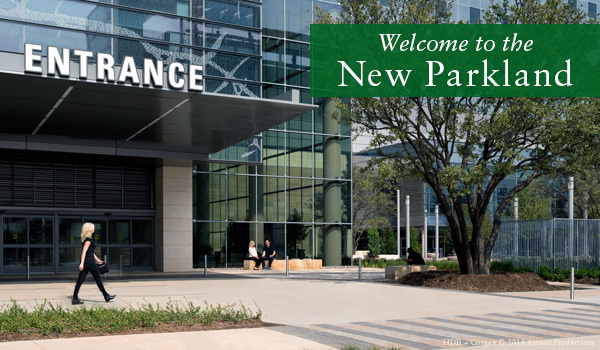 The garage is located at 2120 Medical District Drive next to the new Parkland Hospital. The fee is $5. Two DART shuttle routes will be available to service both campuses. See the New Parkland Shuttle Routes. 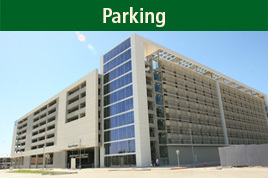 Valet parking is available at the front entrance of the new Parkland Hospital. The fee is $10. To walk between campuses on Harry Hines Blvd., please use the crosswalk at Lofland Drive. Who can help me find my way in the new hospital? 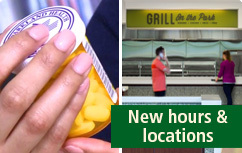 See the new hours and locations to common services like the dining area, Business Office and more. Find out if your clinic has moved. For more details about the move to the new Parkland, please contact us at Parkland@phhs.org.